Winged Foot Golf Club is a 36-hole golf course located in Mamaroneck, New York. 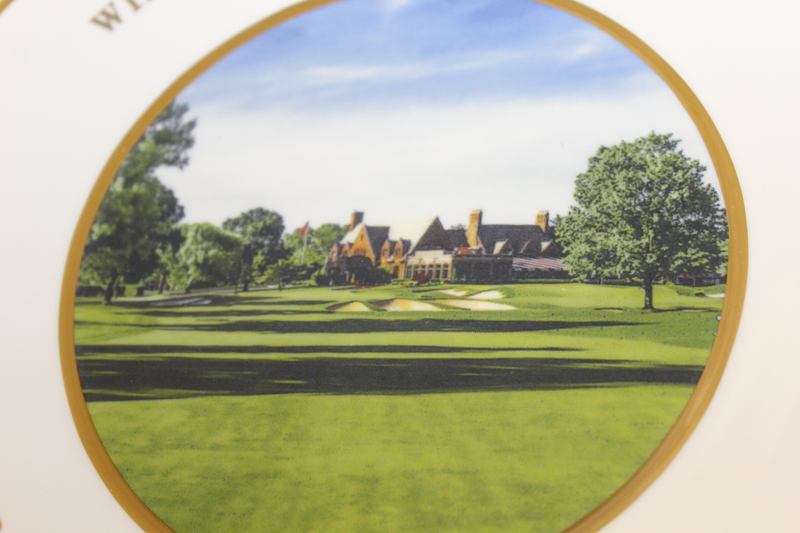 The course architect is A. W. Tillinghast, who also designed Baltusrol (Lower), Bethpage Black, Suburban Golf Club, Shackamaxon Country Club, San Francisco Golf Club, Cedar Crest Park, and nearby Quaker Ridge Golf Club, Scarboro Golf and Country Club in Toronto and Wykagyl Country Club. 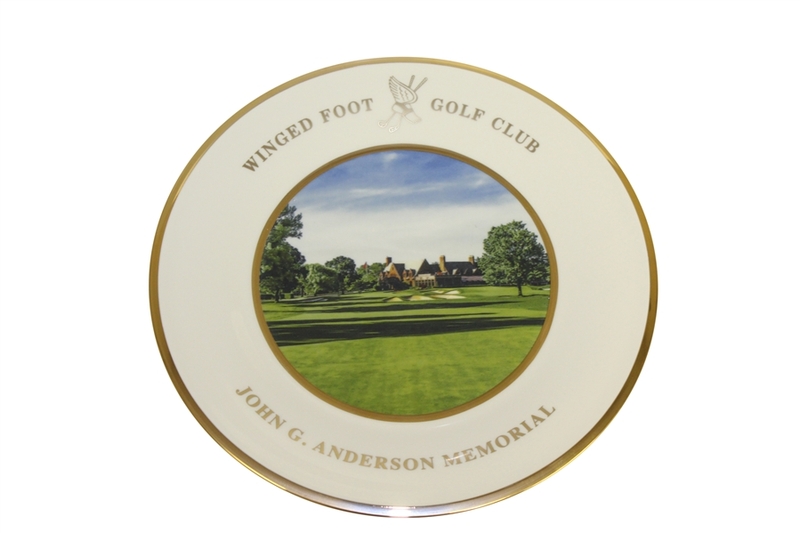 Winged Foot Golf Club was founded in 1921, by a consortium consisting mainly of members of The New York Athletic Club. The club gets its name and logo from the NYAC's logo, but the two have never had any direct affiliation. Opened in June 1923, application for membership to Winged Foot G.C. 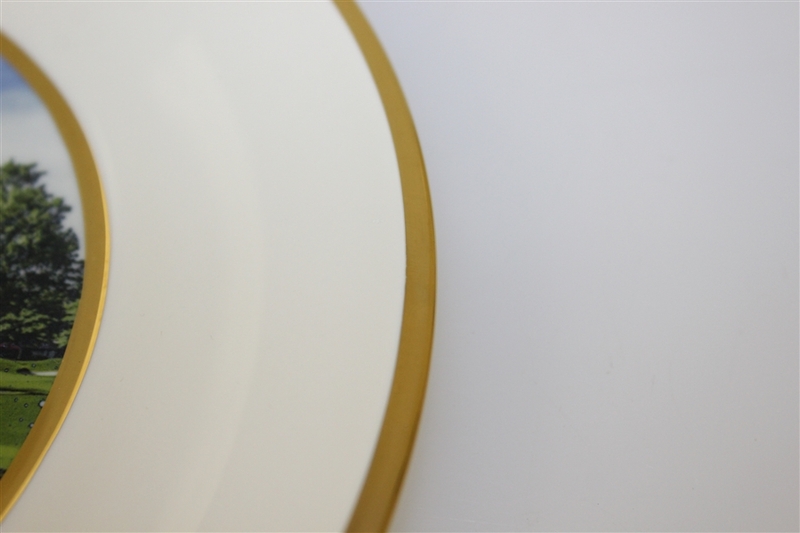 is by invitation only. 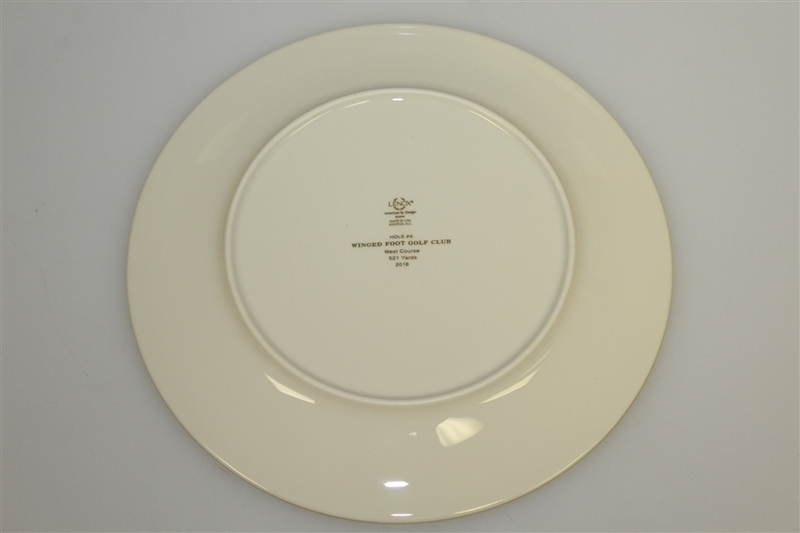 This lot contains a Winged Foot Trophy Plate with a picture of the 9th hole on the West Course on the front. 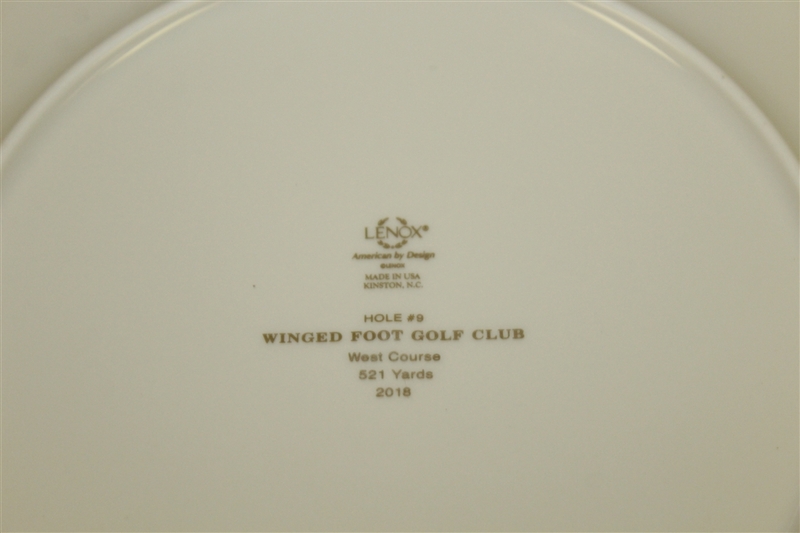 The back of the plate contains information about the 9th hole.